Coal Center, one of smallest – River Towns, is in Washington County along the Monongahela River next to California and minutes from the campus there. Coal Center is less than .1 square miles and a population under 200. It was first called Greenfield and was known that way until about 1883. What Coal Center lacks in size, however, it makes up for in charm and a sense of western Pennsylvania history, as well as easy river access and a relaxed river vibe. Located just above the public docks, Lagerheads is located at 100 Spring Street. This bar and restaurant offers fresh food (try one of their bountiful salads), great drinks, and outdoor seating. 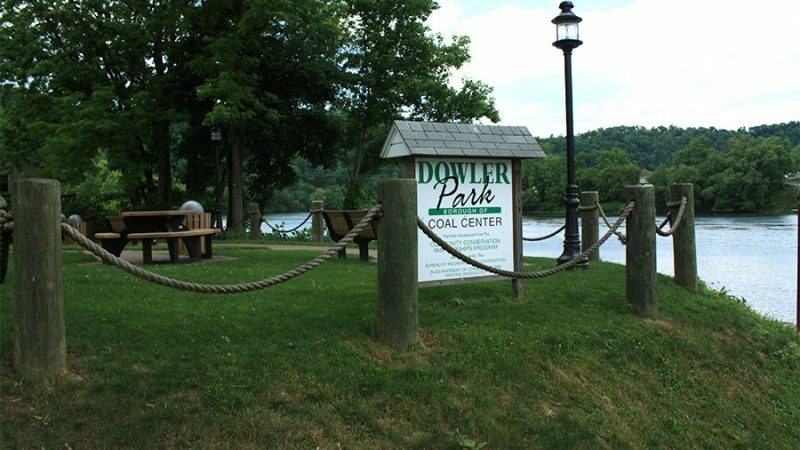 There is a public dock, located at Dowler Park in Coal Center. There are a few tables for a picnic lunch overlooking the water. 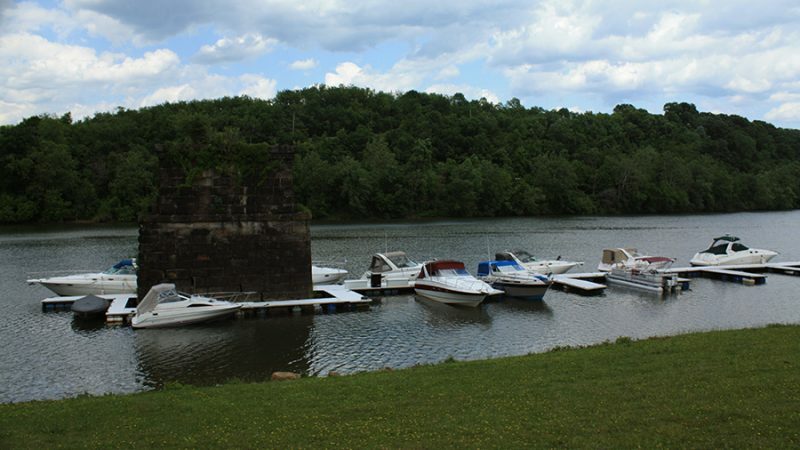 You can park your boat at the Coal Center Public Docks and head up the bank to Lagerheads. This is a beautiful stretch of the river, and Lagerheads is an excellent restaurant and bar right next to the water that offers outdoor seating. While relaxing here, you may even get the chance to see a barge go by.